Trentino VR, Dolomiti Paganella Tourism Board Office | Official website. Italian Alp Holidays. the virtual reality app that takes you to Trentino to enjoy a preview of the adventures you can live in the area. 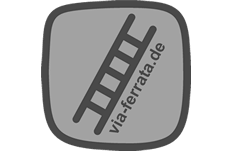 Trentino VR - Virtual Reality is a smartphone application, available for Android and iOS. It takes you to amazing locations, making you the protagonist of stories that develop around you, in a 360 degrees view. Trentino VR offers the opportunity to experience a day in the Dolomites, enjoy exquisite high-altitude meals, relax at the spa and in the pool, take part in a vespa ride through the vineyards, admire a sunrise from a mountain hut and try sports such as paragliding, snowboarding, climbing, trekking, sup, canoeing and much more. The adventure can take place anytime and anywhere, even on the sofa at home! 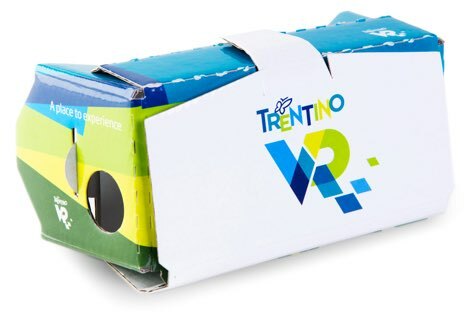 The Trentino VR project is accessible through Google Cardboard, light self-assembled cardboard kits with specially designed lenses, which are able to transform your smartphone into a virtual reality viewer. Cardboards can be found in our information offices and will soon be available online at www.trentinovr.com. To start your discovery of Trentino, simply download the Trentino VR - Virtual Reality application from the Android and iOS stores, follow the instructions in the tutorial and insert the smartphone in the Google Cardboard front pocket. Have a good trip!